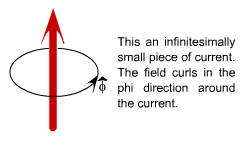 Welcome to the Official Website of The Slacker's Guide to Physics - currently, an online textbook on lower division level calculus-based Electricity and Magnetism (for the Science and Engineering majors). To jump right into the book, click here. Note that you'll need Adobe Acrobat Reader, as the file is in .pdf format until I figure out how to get LaTeX2HTML to work. book, same link as above just in case you missed it the first time. To vote on a possible cover, click here. To submit errors, click here. You can submit anonymously or you can submit with your name. If you make significant contributions, you might get listed in the credits, when this book is finally published in its paper-edition! Q. You're a frosh; how can you be qualified to write this? Q. Can I ask you physics questions that aren't in the book? Can you help me understand my homework? Q. Can I really trust you? A. As a physicist, yes; as a person, probably not unless you really know me. Q. Can you take my exams for me? A. Back when I was a post-modernist/modernist-hybrid, I did this kind of stuff for fun. But, the problem now is, I charge too much for you to afford me; and, I have ethics now. If you'll like to try to convince me otherwise, please note that I'm no ordinary paid test-taker: I'm one of the few quality kinds that can score at least in the top 10 in a real college-leveled math or physics exam, even on Tuesdays. I'm precious, thus you'll have to pay a lot of $ for me, and even more for my mind, which is even more precious. Incidentally, one time, someone paid me $500 for a calculus exam. That was pretty stupid, as that was more than it costed to take the course. But then, the guy was an engineer, so he probably didn't need calculus to do well in his future courses, anyway. (But then, how can he truly understand linear circuits without the basic calc required to understand those way cool differential equations?) .... anyway, for the few people who took me seriously here... I'm just joking! Q. Can I have your autograph? A. Sure, come to my booksigning, when this is publishedXD JK. I'll probably sign the Intro later. Q. Where can I find SC, like in real life? A. You can find SC locked up (and total victim to your whims) in your calculus textbook. You'll probably also find SC in your physics text book. You can also find SC in my book. Textboks are a part of real life. But anyway, you should know that SC is relative in the sense that whenever you use SC to solve a problem, it's possible to solve it w/o using SC--although sometimes, w/o SC, things may get nasty. A. I got rather bored hanging out at home over spring break... So, I started writing this. It's a compilation of common pitfalls I've seen from my experiencing tutoring people in this course (and its equivalent)... presented in a way that's not tooo geeky. I hope. eek. A. 42. in Yosunian units. No one knows what Yosunian units are, yet, though. They might not even be real. They might be imaginary.